Nationalist online fundraisers: can you trust them? Part 2 – the good, the bad … and the ugly? | The Nation said No Thanks! Can I see explained clearly which person, group or organisation is raising funds and why? Do they tell me how my donation will be used? Does the fundraiser show me they can be trusted, and how? Is it obvious how to make a donation? Does the site show donations to date? Does it set out how else I can help, if at all? Thinking about my words, I’d probably recast the answers to these six questions as the ideal, the Rolls Royce if you like, of online fundraising. There are circumstances in which I would have (and have) donated money online, in my case charitable causes, without confirming answers to all those questions. That’s because I believe the question of trust looms disproportionately large in the decisions donors are likely to make. That’s not to say the trust might not be mis-placed. But if, for example, you know that your near neighbour of long-standing is collecting online for a family that you also know whose house has been flooded, you might weigh that knowledge more in the balance than, say, that of an anonymous stranger in Azerbaijan doing the same for a village you’ve never heard of. Two preliminary points about what follows. If you trust any person, group or organisation raising funds online, then fine, discount any of the negative points I make. I infer no wrongdoing by any of the examples of online fundraising discussed here. I previously described the examples I’d use as a ‘not-quite-random sample.’ By that I mean I’ve chosen a few to look at because they are large and/or well-known and a few because they’ve come to my attention for other reasons. I suspect that they are the tip of a large iceberg but I don’t pretend that they’re typical or tell you anything about any other online fundraisers. I link each example to the online site(s) or page(s) I refer to. As with Part 1 the links are not there to interrupt your flow of reading but so my statements can be evidenced if you wish. My examination of each does not address all six questions above. I pick out features of the particular example that I think might be of interest. If you want to make a wider judgement about any of them I’d urge you to look at the relevant website/page and think about how, if at all, it answers the six questions. First, since I said in Part 1 ‘I may find good practice to praise,’ let me start with a site that seems to me as good as it gets in terms of soliciting donations from readers – Common Weal. You’ll realise, by the way, that I’m talking about its fundraising not its substantive content: this one happens to have plenty of interesting material but, like all my examples, I disagree with its fundamental aspiration – separation. The very first words on the Common Weal home page ask ‘What is Common Weal?’ and take you straight to a page that explains – ‘a think tank, a campaigning and advocacy organisation … ’ Here you’ll see the clear statement that it is a non-profit company and further links to its constitution and articles and a list of board members. You can check the details of Common Weal Ltd (company number SC483485) on the Companies House website. There you can find its first year’s accounts, ‘abbreviated [and] unaudited’ because it is a small company. They may not be typical because it was the company’s first year. My only quibble, and it is little more than that, is that I could not find the company number on its website, a statutory requirement (see Part 1 of these two articles). This is, almost, a gold standard. I’d still say don’t give them money, because I don’t agree with their aims, but that’s a different issue. It seems natural at this point to turn to another large nationalist website, perhaps the largest – Wings over Scotland. To give Stuart Campbell who runs the site his due, he does spell out on his Donate page how he has raised £435,000 in seven separate appeals since 2013, although not all this total was raised online. Some of his fundraisers were for specific projects. Like all the websites covered in this post he also has an open invitation for readers to donate, in this case via PayPal or by direct bank transfer to an account ‘in name of Stuart Campbell.’ The introduction to the page says ‘How to support Wings Over Scotland and other Yes causes,’ although which other ‘Yes’ causes donations might support is not clear. On his home page you’ll find a link to his most recent fundraiser in April 2016 where you can see further details of how he intended to spend at least some of the money he raised this year, including a ‘modest editor’s salary’ of just under £23,000 per year (little enough to live on in expensive Bath, where Campbell is based, but he may of course have other sources of income). You’ll also find a link to the Wings’ ‘Megastore’ where you can buy a range of branded goods all priced, curiously, in US dollars: questions and phone orders are directed to a US landline number. All the circumstances of the Wings website suggest that this is, at least in lay terms, a business, albeit one with a specific political purpose. What is not clear is its business structure. I can’t find any evidence that it’s run as a limited company. It may be a partnership (but if so of whom?). Or it may be owned by Stuart Campbell as a sole trader, which the bank account details ‘in name of Stuart Campbell’ on the site suggest it probably is. Given its substantial income and activity donors might be interested in knowing which it is. Of course, only limited company status would give access, through published accounts, to a financial overview of what is a substantial operation. While Wings is a major online fundraiser, other nationalist websites are more modest in their aim. His PayPal page [15/2/2018 e-mail address removed at his request although it was in the public domain] even offers the option of making a monthly payment. There is no news as to whether his fundraising has been successful. Other individuals, not always anonymous, make multiple attempts to raise funds online. 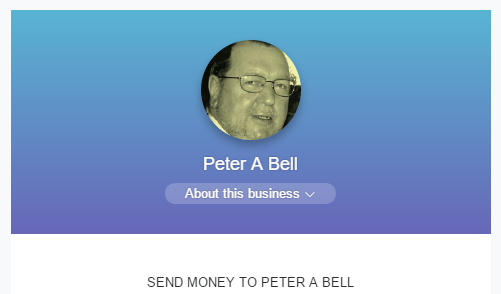 SNP activist Peter Bell, who has been mentioned in a few posts on this blog is one such. At the moment he seems to be involved in two sites that solicit funds. The project has recently been the subject of Police Scotland interest. I could not find any information on the web about the group’s structure. ongoing as I write, for £36,000 to ‘assist the Brain family; driven into debt by the callous UK Home Office in trying to stay in Scotland’ (£4,065 raised as of today), sponsored by A McCandless. It is not clear from the fundraising pages who the Macartney family and A McCandless are. Thanks only to a comment by Mrs Brain it’s possible to work out that Margaret McNeil is a friend or neighbour. I mentioned earlier that Wings would feature in another example of online fundraising, one which introduces amongst other ideas the novel concept of what I’d call pyramid fundraising. 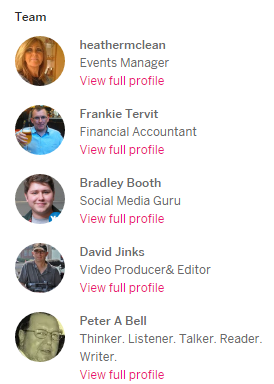 This is the ‘not-for-profit’ AyeMail ‘committed to help pro-indy organisations and individuals with their crowdfunding and merchandise delivery.’ They provide a range of services and sell items online under eleven different headings listed on their website (top right of their pages). So, for example, under ‘Wings’ you’ll find Wings-branded badges, stickers, posters, hoodies and a flag. Under the headings Green, RISE, Show Specials, SNP, and SP16 you’ll find empty pages and the legend ‘No results found.’ It’s not clear whether this means they have no current contracts for these organisations/subjects or whether selling their branded goods is only an aspiration. With the exception of a couple of pro-EU-items, everything else sold is in fact Wings-related. What we need most is free time, which means no day job getting in the way. So once again we’re looking for just enough to pay the mortgage and the bills over the next six months … Secondly, we’ve outgrown our small office … [W]e have some extra space available to us, but it needs storage and shelving as well as electrical work. AyeMail seems to be run, although on the evidence available you can only say ‘seems,’ by someone called Lindsay Bruce, who also tweets as @RogueCoder250 (he says on his Twitter profile that he founded AyeMail). Tracing the detail of online Wings-related fundraising and products for sale shows how convoluted the relationships between cause, brand, brand owner, wholesaler, retailer, volunteer seller and fundraising can be. Of course, there’s nothing inherently wrong with these relationships and they match much of what you find in the world of commerce. But it does exemplify how difficult it can be to find out who’s responsible for what on the web where money’s concerned. This final case seems to have no relationship with any of the other examples of nationalist online fundraising. It does however illustrate starkly the legal principle of Caveat emptor, let the buyer beware. If you are buying anything online, and that includes affiliation to a cause you believe in, do take care. That way you know you’ll be donating to what you regard as the good rather than the bad … let alone the ugly. This entry was posted in Uncategorized and tagged facts, fundraising, nationalism, Scotland, web site. Bookmark the permalink. 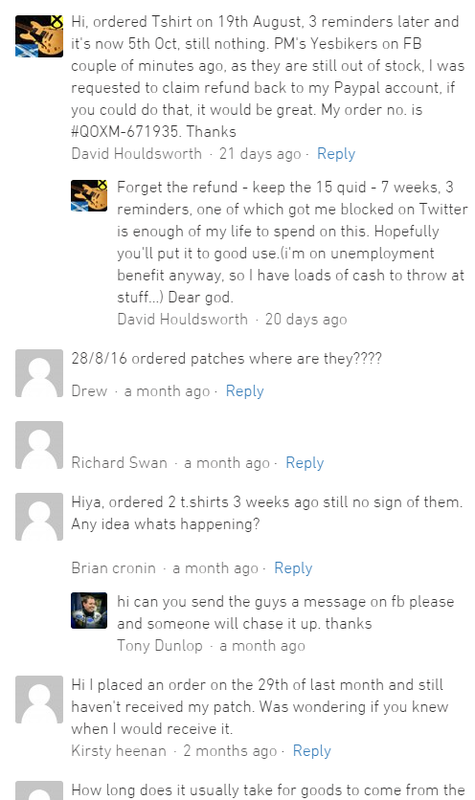 7 Responses to Nationalist online fundraisers: can you trust them? Part 2 – the good, the bad … and the ugly? A lot of wok for nothing. People know why they donate. I guess you are just angry about it. Do you really think you saw anger in all that? I do wonder if donors to some of these fundraisers would be angry if they knew how unaccounted-for their hard-earned cash might be. Must say I would not describe Wings Over Scotland as a “nationalist” site. It supports independence yes. 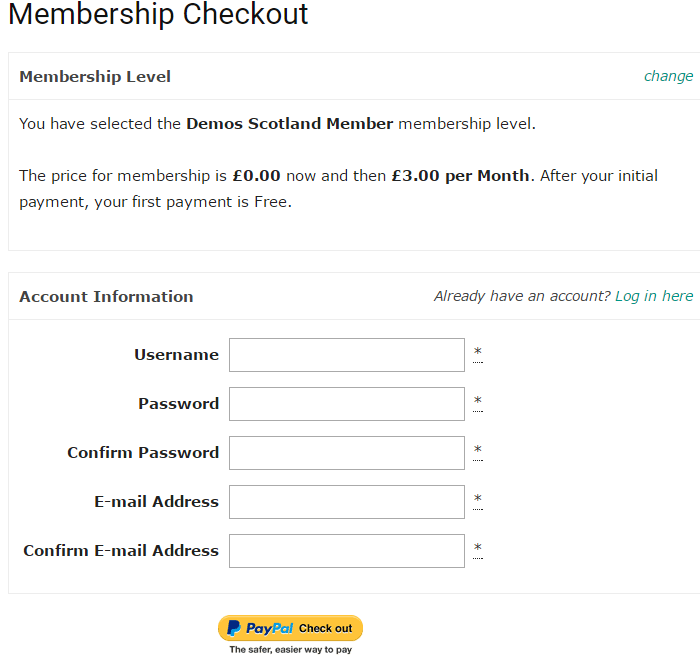 CafePress (home of the Wangs Over Scotland Megastore) only defaults to dollars, because it’s a US site. If you click on the flag at the corner you can get all prices in Sterling. Regular readers will know my only criterion for blocking comments is abuse. This isn’t abusive. But if you waste your time and money on the laughingly named megastore more fool you.